With braces, you're on your way to a beautiful smile. While you are on this exciting journey, please be aware that eating certain types of food can damage the wires or brackets — and make your daily oral hygiene routine more challenging. Not to worry, your orthodontic treatment will all be worth it in the end! But in the meantime you'll want to pay special attention to what you eat. Let's start with the foods you should avoid. Popcorn hulls can get stuck under braces, where they are very difficult to remove. They can get wedged between teeth and below the gums, causing them to become inflamed and swollen. 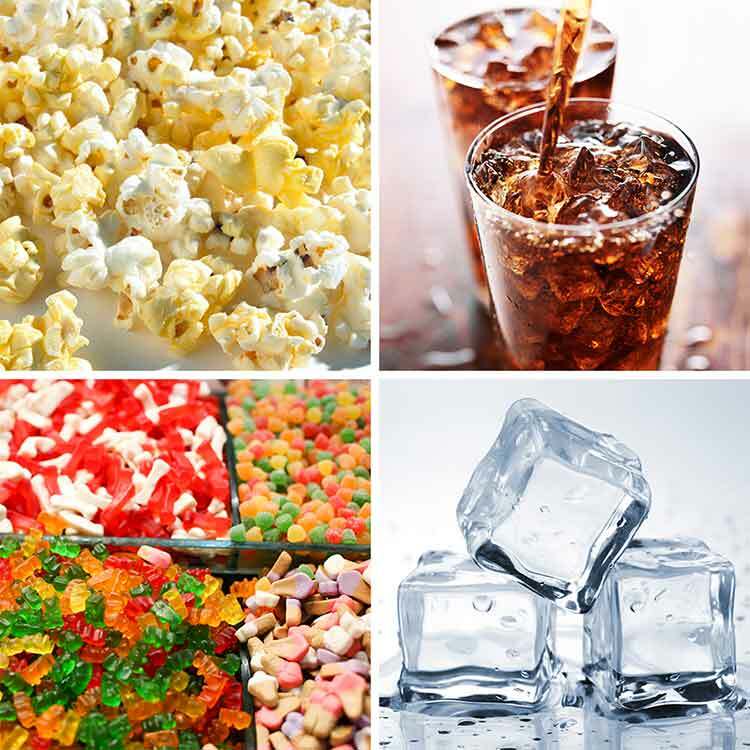 If you feel you can't live without popcorn, “hulless” popcorn is safer for people with braces. Note that “hulless” popcorn still has a hull; it's just smaller and softer. Acidic beverages like soft drinks — including diet sodas — sports drinks, energy drinks and lemonade are especially hard on teeth with braces. Some people notice white spots on their teeth after their braces have been removed. These spots are where the enamel has been stripped of its important minerals, paving the way for bacteria to create cavities. The resulting white spots are likely to be permanent. Caramel, taffy, gummy bears and the like can coat your teeth with sticky sugar and can even pull off your brackets. Hard candy can pop off brackets and bend wires. Also, the sugar can invite plaque to form under and around the braces, where cleaning is difficult. Chewy foods like bagels and hard rolls as well as hard, crunchy foods like pizza crust, hard nuts and thick pretzels may bend wires and pop off brackets. Even healthy fruits and vegetables that require biting with the front teeth can damage braces. These include apples, corn on the cob, carrots and many raw veggies. All of this is not to say you should forego these fruits and vegetables completely, but you might have to go about eating them differently. Here's how: Cut or slice raw fruits and vegetables into small pieces and chew carefully, or cook veggies to soften them. You can cut corn off the cob — although it is still likely to get stuck in your braces. If this happens, you can use an interdental toothbrush (the floss picks with bristles) or a water pick to free food particles. Chewing on ice isn't good for teeth without braces either, but it can cause particular problems for braces, possibly breaking off a bracket or moving a wire. As a rule of thumb, soft foods are easier on the hardware in your mouth. If you're not sure about a certain food, ask yourself if it fits into one of the categories of foods to avoid: hard, chewy, sticky, sugary or acidic. And you can always ask us!